Team — Genesys Venture Inc.
Albert D. Friesen holds a Ph.D. in Protein Chemistry from the University of Manitoba. He has been instrumental in founding and the development of several health industry companies including ABI Biotechnology Canada's first profitable Biotech Company, (now Apotex Fermentation). Dr. Friesen also led development of Canada's first biotech product, WinRho at Winnipeg Rh Institute Inc./Rh Pharmaceuticals (now Cangene) and is a founder of the Industrial Biotechnology Association of Canada (now BIOTECanada). Genesys Venture Inc., (GVI) which provides the expertise to start-up and manage emerging health and biotechnology ventures, was founded by Dr. Friesen. GVI has been responsible for the start up of many successful companies including Diamedica Inc., Kane Biotech and Miraculins Inc. Dr. Friesen led establishment of CentreStone Venture Partners, a $22 million life science fund based in Winnipeg. Marcus Enns obtained his Bachelor of Commerce (Hons.) degree from the University of Manitoba. He was previously employed in the banking industry where he gained valuable experience in lending and financial management. Mr. Enns joined the GVI team in 2000 and is currently Vice President, Corporate Affairs. In this capacity he oversees treasury activities and contract administration and plays a major role in both private and public fundraising activities involving GVI's client companies. Mr. Enns held executive positions with two TSX Venture Exchange listed companies, Miraculins Inc. and Kane Biotech Inc. and was involved with bringing both companies public in 2002 and 2003 respectively. 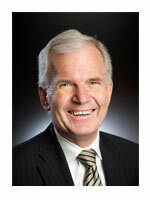 Mr. Enns is currently Chair of the Board for the Rosenort Credit Union. Mr. Kinley is responsible for the financial operations of GVI and its client companies, including the financial reporting and continuous disclosure re-posting requirements for publicly traded companies. Previously, Mr. Kinley was Manager, Financial Reporting at Manitoba Telecom Services Ltd. (MTS). His responsibilities included the review and distribution of external quarterly and annual financial statements, internal financial statements and board reporting packages. He was also significantly involved in the conversion from Canadian Generally Accepted Accounting Principles (GAAP) to International Financial Reporting Standards (IFRS). Mr. Kinley has extensive experience working with publically traded entities, having provided financial reporting services for a number of stock exchange listed real estate investment trusts (REITs) from 2006 to 2008. Prior to this time he was an Audit Senior at Ernst & Young, LLP. Mr. Kinley is a Chartered Accountant and holds a B.Comm (Honours) degree from the I.H. Asper School of Business (University of Manitoba). Sandra Reis is a skilled Regulatory Affairs Professional with Clinical Development Solutions who is proficient in the development and execution of regulatory strategies and the preparation of high quality regulatory submissions, resulting in the reduction of product time-to-market. Specific capabilities include preparation, compilation, and submission of regulatory filings (i.e. INDs, CTAs, NDAs/NDSs, DMFs, ANDAs/ANDSs, 510(k), NHP Product Licensing); interacting and negotiating with Regulatory Authorities on behalf of clients; providing guidance on the regulatory aspects of product life-cycle management (from early development through to commercialization and beyond); and advising on regulatory risks associated with promotional activities. Sandra graduated with a degree in Biology, obtained a post-graduate diploma in Regulatory Affairs & Quality Operations and has completed numerous additional seminars and certifications on topics including Preparing Global Regulatory Strategies, Conduct of Clinical Trials, Electronic Submissions, Streamlining the Regulatory Process, and Promotion, Compliance & Enforcement.